Jac o' lyn Murphy: Waffle Party! 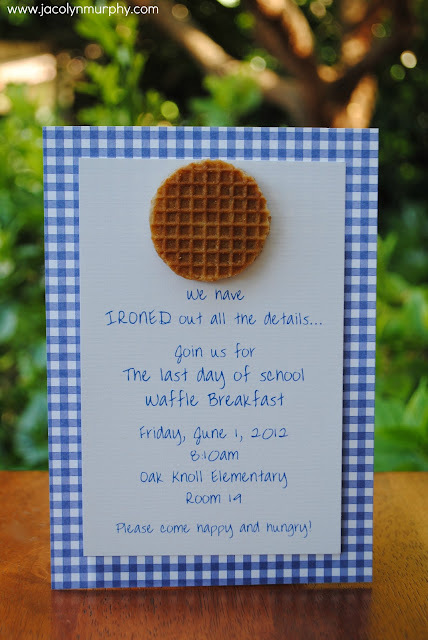 were those fake little waffles on the invites? 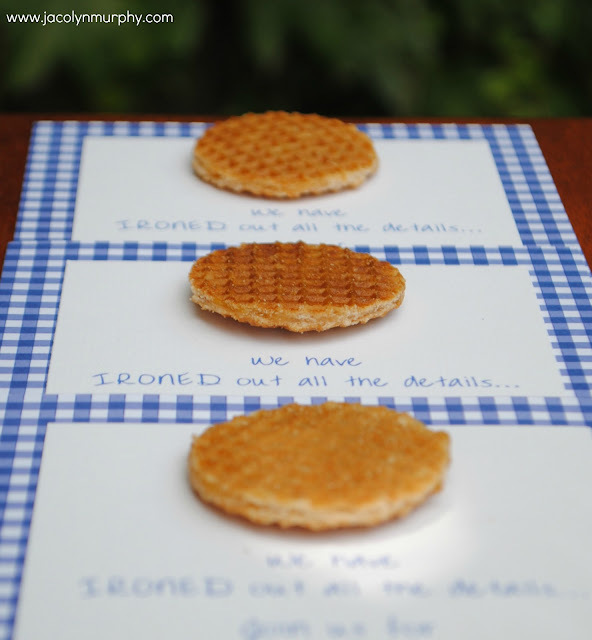 Thanks Cindy...They are Dutch Honey Wafers! You are so "Sweet" Alexis! 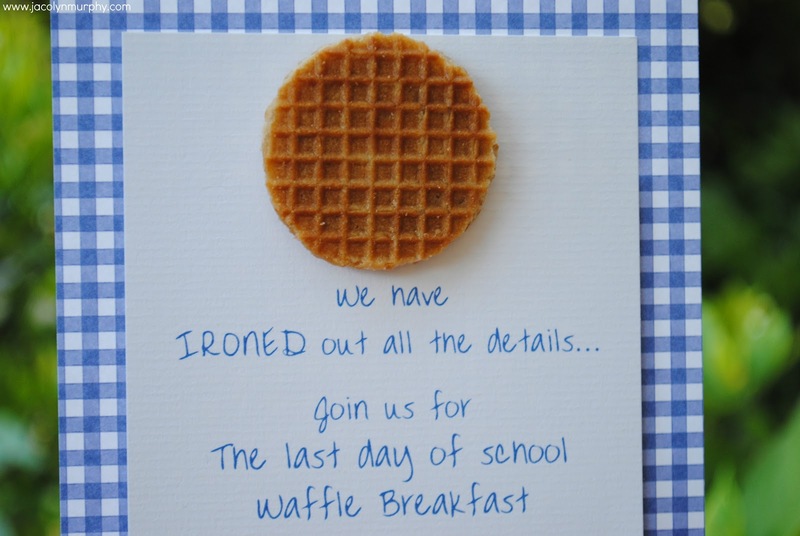 The perfect beginning to the last day of school! What a fun idea! 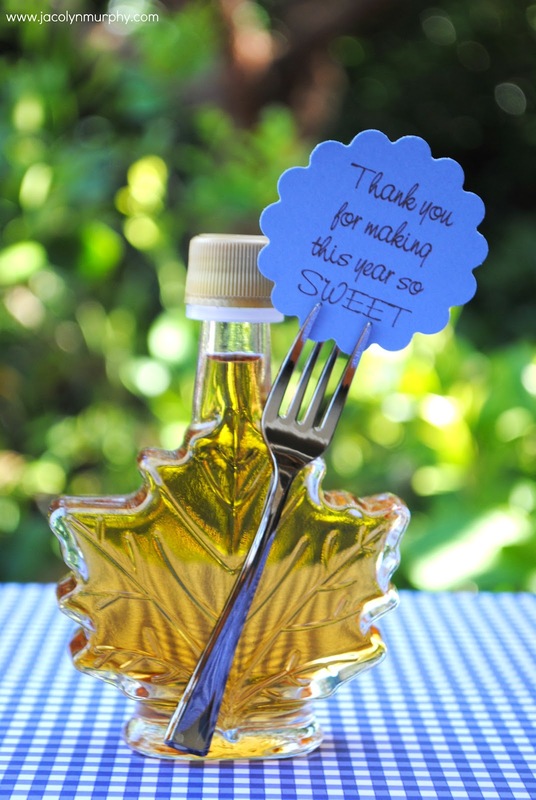 I love waffles....with real maple syrup! Saw you at Clean & Scentsible! 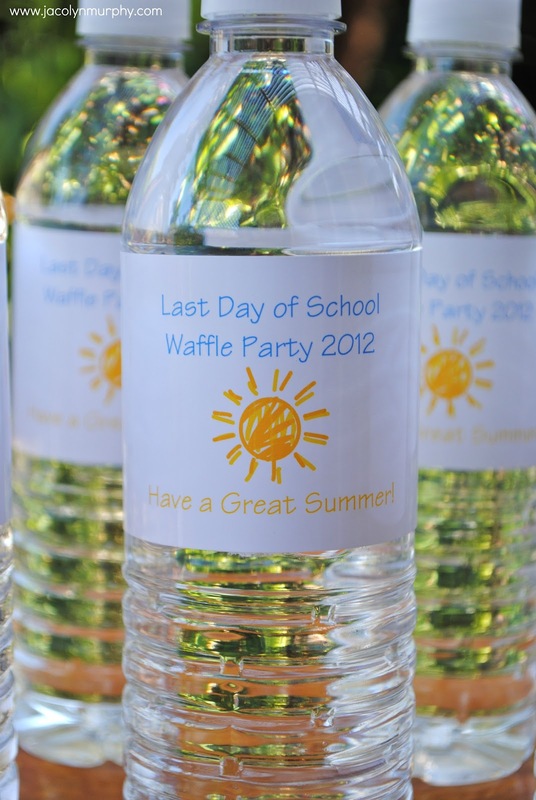 Love the waffle party idea... and really love the syrup favors too... so cute! This is the cutest theme! I need to host a waffle party...thanks for the ideas...love the invites! 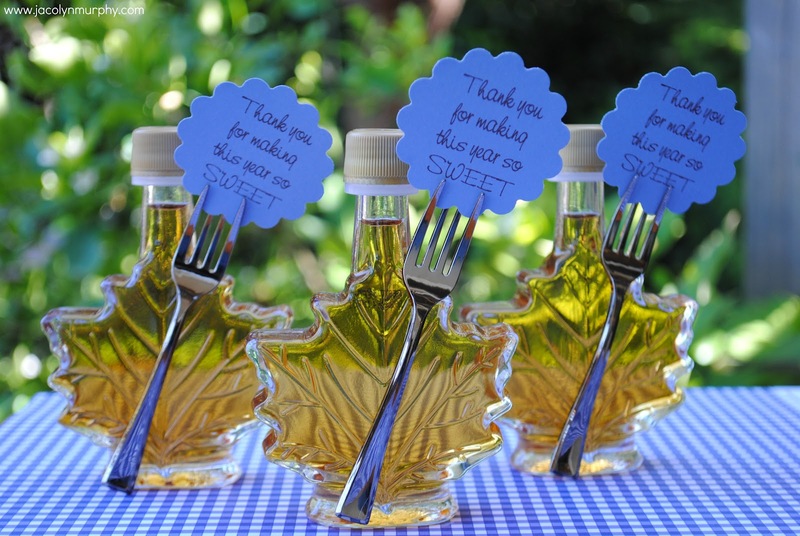 Oh my gosh, I want to be invited!! So very cute! 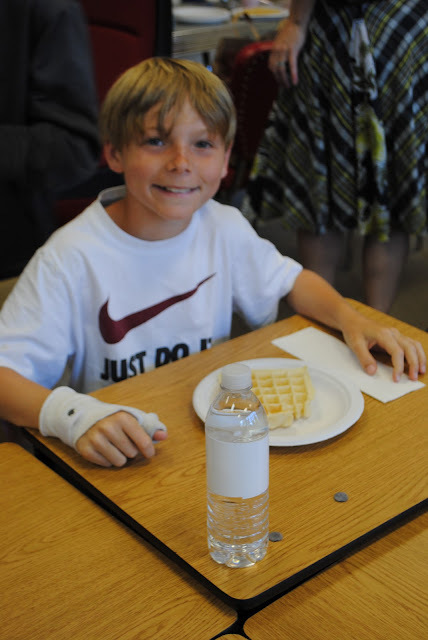 Love waffles!